Education and Learning are themselves rooted in the ancient history of many societies. In the course of my own academic career I have been drawn to the study of history, philosophy, sociology, literature, and eventually to rhetoric. I consider myself a student of the humanities in many respects. Much of my own education and learning has provided me with a diverse wealth of information. My desire as a teacher is a desire to share that information, to pull back and reveal to students the potential and wonder of the world we live in. Learning itself is a metaphor. Specifically, it is a search for the many metaphors that are the keys in allowing students to unlock and comprehend the wealth of information, not only that I want to share with them, that is in the world. In the process, I myself am constantly learning with them. I am finding new ways to interact, connect, and experience learning – particularly communication, persuasion, composition, and literature – with my students. 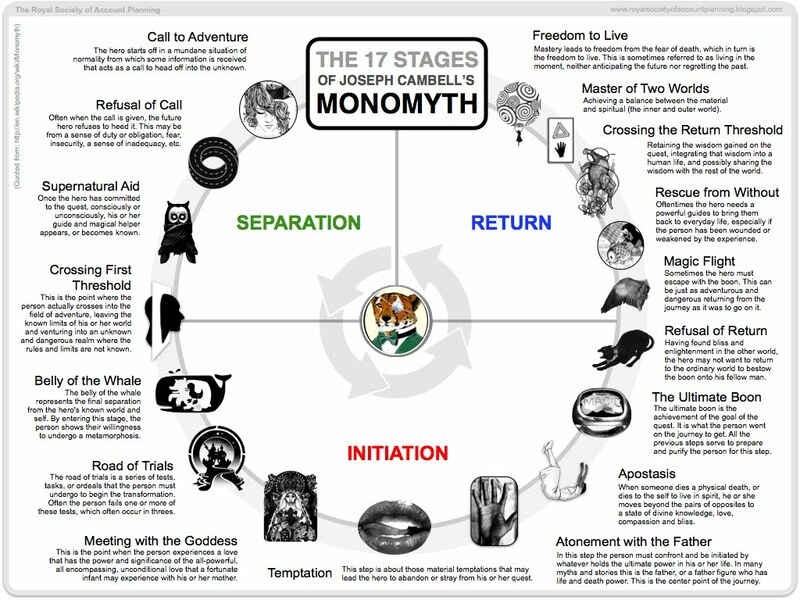 The metaphor that I assign to learning, personally, is the not unlike Joseph Campbell’s monomyth or Hero Cycle. Learning and Education represent a challenge. It is a quest in its own right, but the reward far outweighs any risk. It is a cycle that one undergoes, more importantly it is not limited to a “one time experience” but in learning becomes a kind of perpetual motion, of revolutions of a wheel. That is what makes it a wonder and a source of potential knowledge.